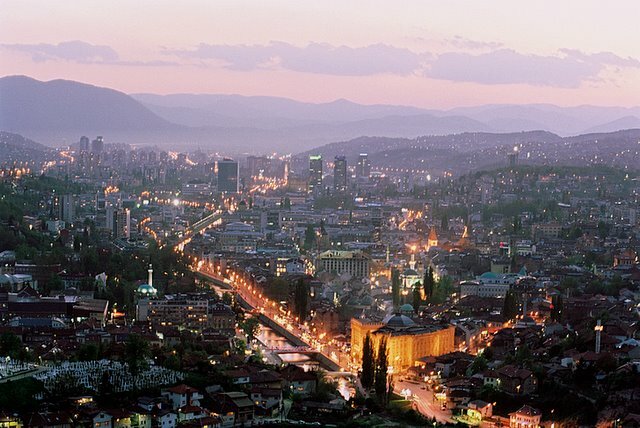 Bosnia and Herzegovina has a population of 3,839,737 people, Bosnia and Herzegovina's capital city is Sarajevo and largest city Sarajevo. 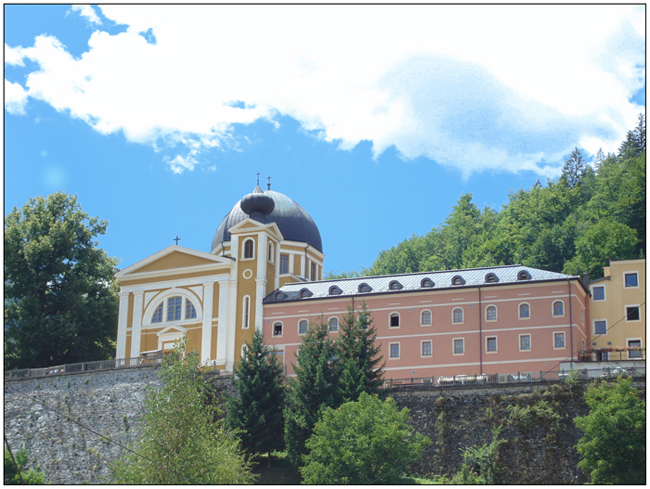 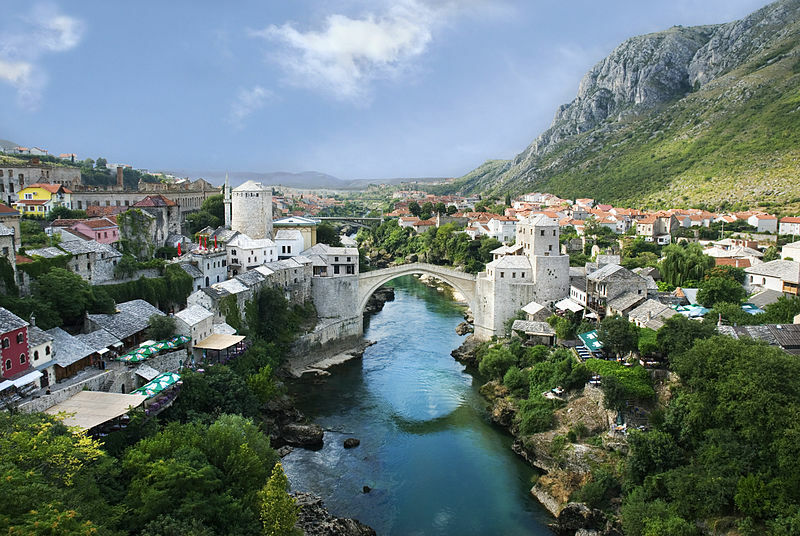 Bosnia and Herzegovina personel income per capita $4,618, jobless rate 7.00% and its currency Convertible mark (BAM) . 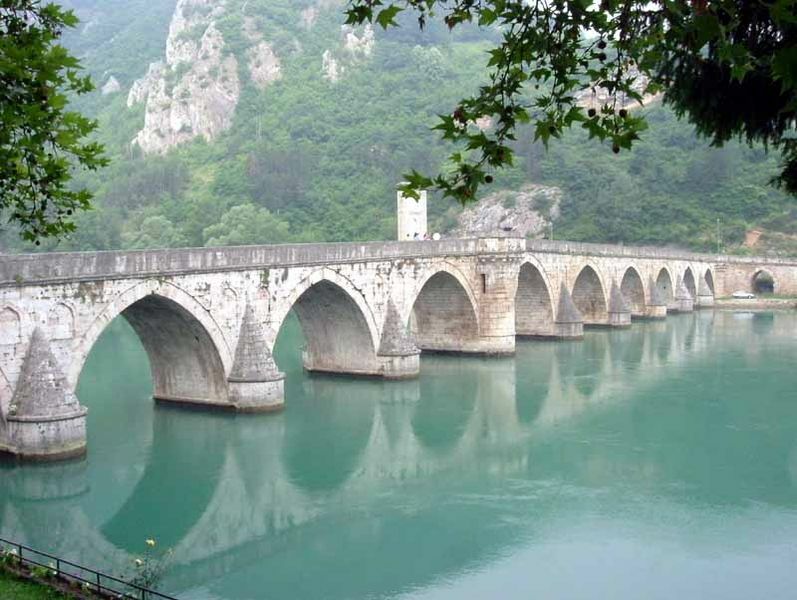 Bosnia and Herzegovina official languages and mostly spoken dialects are Bosnian, Croatian, Serbian, ethnics groups : 48% Bosniaks, 37% Serbs, 14% Croats, 0.6% other. 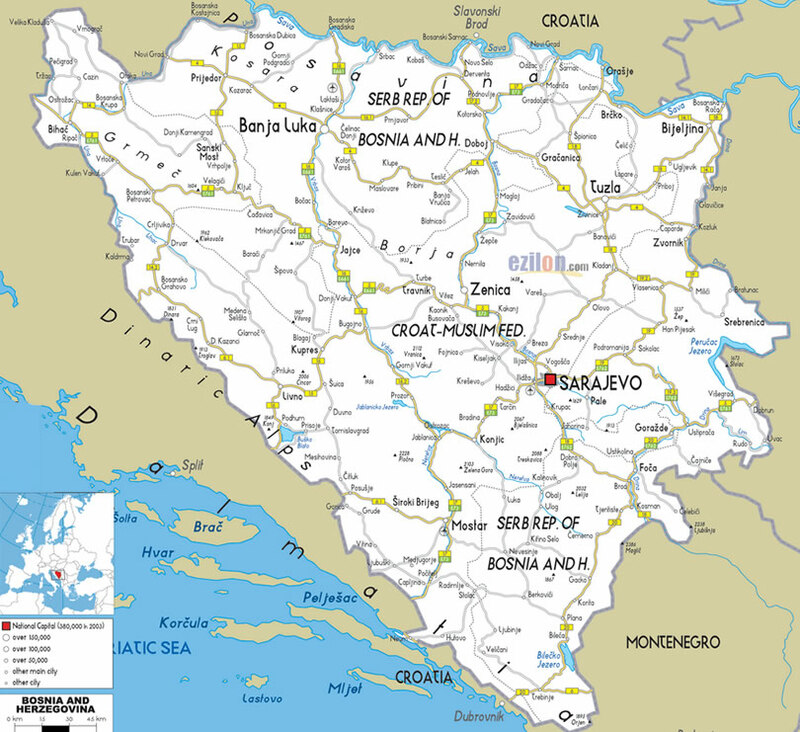 Click for Bosnia and Herzegovina Map! 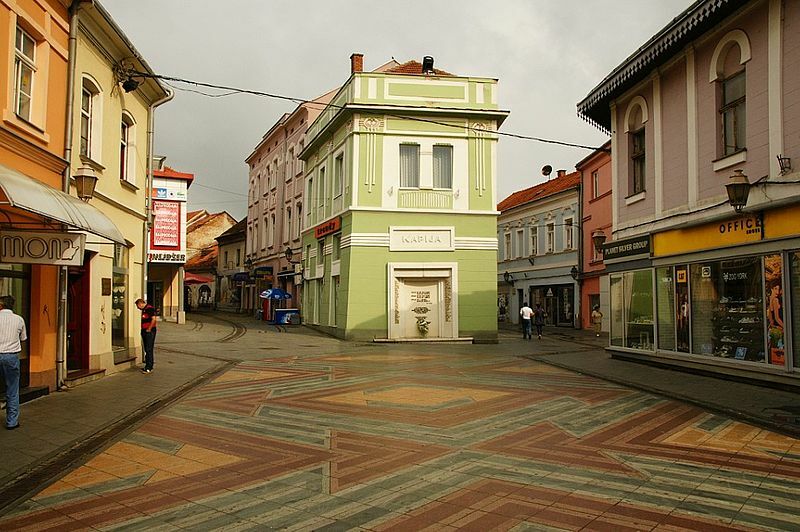 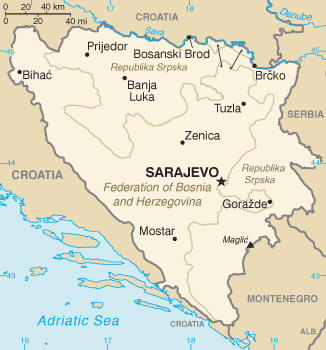 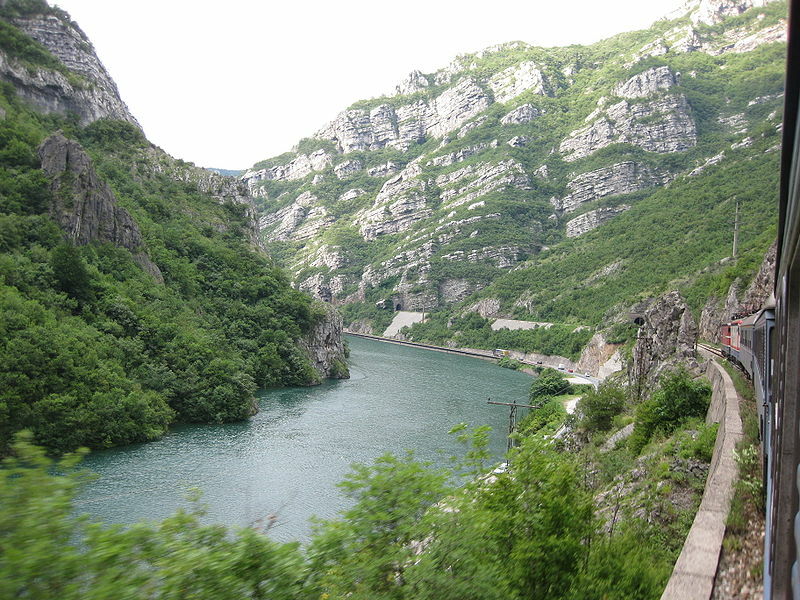 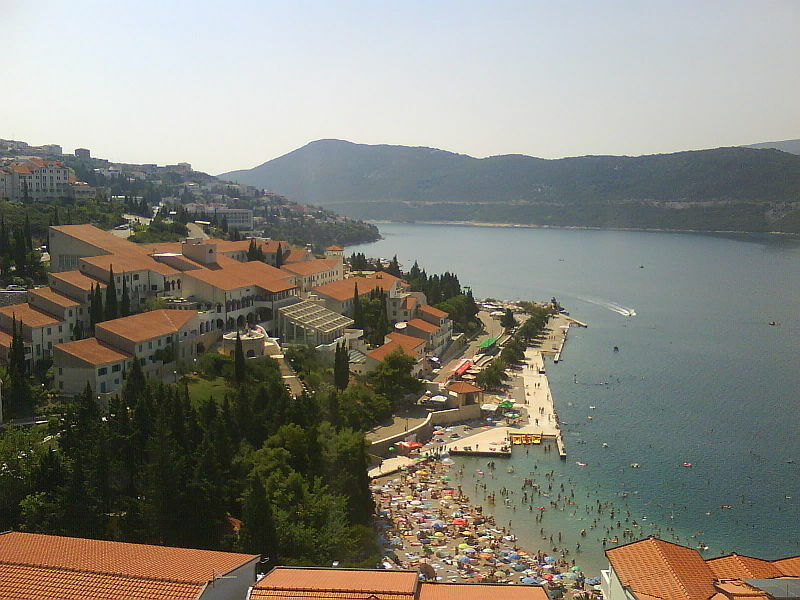 Bosnia and Herzegovina has 51,197 km2 (127th) 19,741 sq mi , its GDP (Gross Domestic Product) is $17.965 billion. 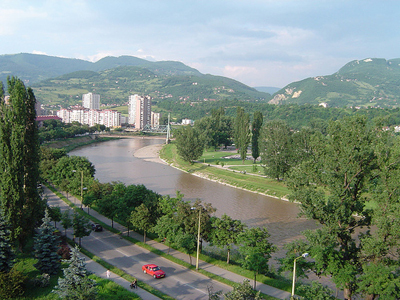 Bosnia and Herzegovina president Valentin Inzko and prime minister Vjekoslav Bevanda. 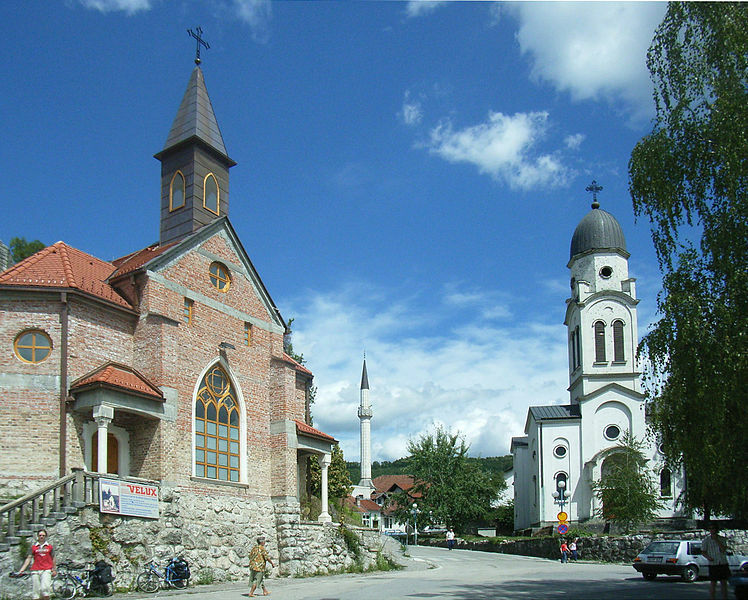 Languages : Bosnian, Croatian, Serbian, Ethnicity : 48% Bosniaks, 37% Serbs, 14% Croats, 0.6% other.